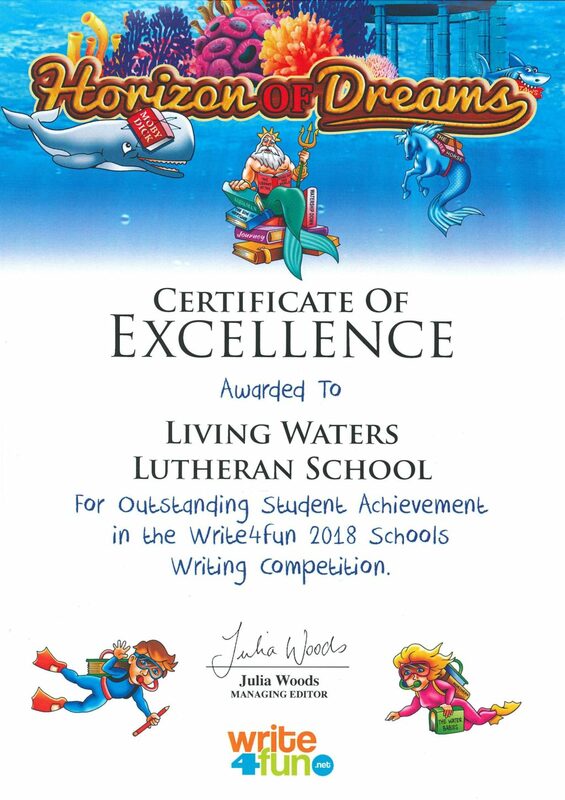 In Term 1, a number of Year 5 students entered the Write 4 Fun competition. This is a national writing competition. All students received a commendation award and the school received a special certificate.